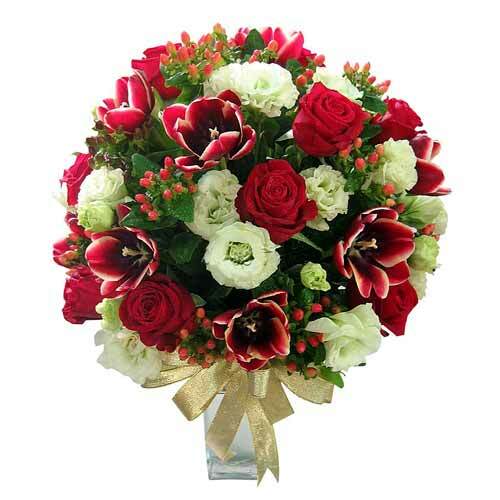 Description: Let your loved ones feel your presence however far you are from them, when you gift them this Fragrant Untouched Feelings Mixed Roses Bouquet wrapped up in the scent of your love. 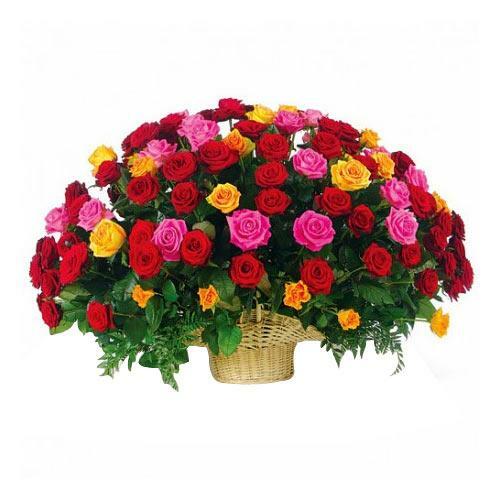 Show your intense love on Valentine's Day with this gift of Red,Yellow and Pink Roses, 50 stems, with Basket. 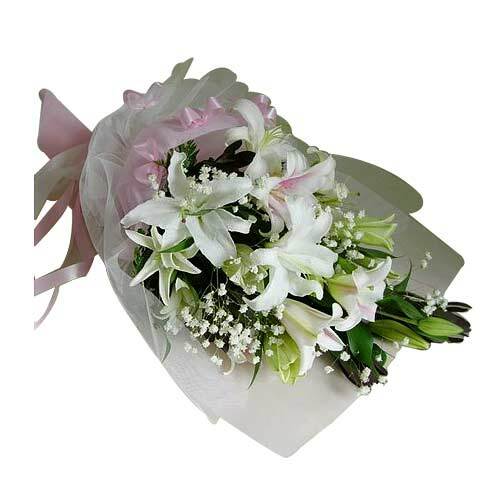 Order online for your loved ones this Blazing Flower Beauty that conveys how much you love them even if you remain silent. 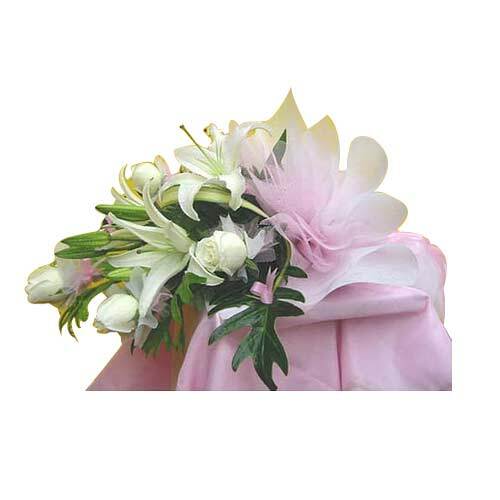 You get three pretty different types of flowers beautifully decorated in a bouquet and tied with a satin ribbon. 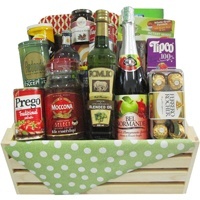 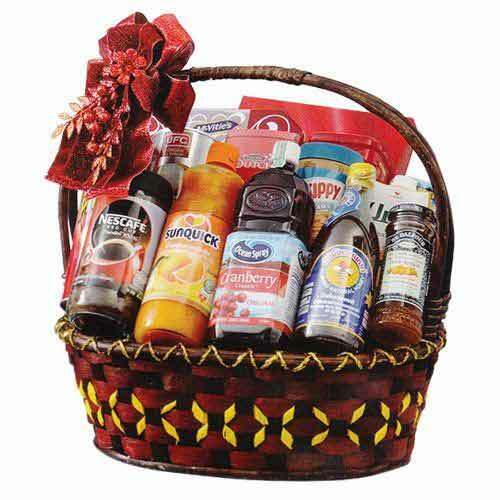 There may be diversification of the arrangement from the picture. 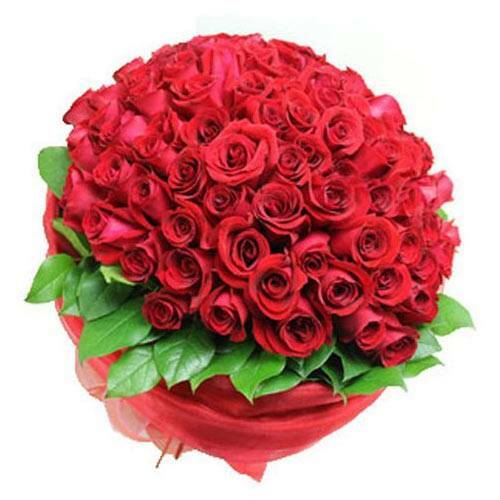 Make your love special by giving this marvelous bouquet to your beloved on the Valentine"s Day.